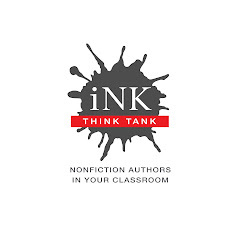 Myra Zarnowski, History Makers: A Questioning Approach to Reading and Writing Biographies. Portsmouth, NH, Heinemann: 2003. Lesson plans and bibliographies. Kohl, Herbert, She Would Not Be Moved: How We Tell the Story of Rosa Parks and the Montgomery Bus Boycott. NY, The New Press: 2005. Describes how Park’s story has been distorted in textbooks and biographies. Retells the story with lesson plans. Bostridge, Mark, Lives for Sale: Biographers’ Tales. London, New York, Continuum: 2004. Short articles by 33 British biographers about the problems and rewards of what they do. Hamilton, Nigel, How to Do Biography: A Primer. Cambridge, London: Harvard U Press: 2008. A little bit of everything – history, how-to, lots of examples and anecdotes by him and other biographers. Lee, Hermione, Virginia Woolf’s Nose: Essays on Biography. Princeton, Princeton University press: 2005. Terrific essays on the historical biographical treatment of Shelley, Woolf, Austen as well as “How to End It All” on deathbed scenes. Rollyson, Carl, Biography: A user’s guide. Chicago, Ivan R. Dee: 2008. A rich “encyclopedia” that includes the history of the genre, craft, brief bios of past and present writers, and much more. Zinsser, William, editor, Extraordinary Lives: The Art and Craft of American Biography. Houghton Mifflin, Boston: 1988. Essays by six prominent biographers, with stories of their work on such subjects as Emily Dickinson, harry Truman, The Adams Women. A.S. Byatt, Possession. 1990. Booker prize-winning novel about two young biographers (soon to be lovers) who are researching two Victorian poets who were lovers. Byatt invents their research, even their poetry. A.S. Byatt, The Biographer’s Tale. NY, Knopf: 2001 A Chinese box of a novel: Disillusioned grad student tries to write a life of an obscure biographer. Half the book contains abstruse “notes” of his subject. Other half is the young man’s story. I agree with many of your choices. Thanks also to Gretchen for the resources list--good stuff for summertime reading! Thank you! Great list for reluctant high-school readers.